Japanese gaming magazine Famitsu will no longer track the sales of the Wii U in Japan, finally allowing the console to serenely drift off into the loving embrace of Nintendo's past systems. It comes as no surprise (the console was often generating weekly sales of between 10 and 20 units in recent weeks) but Famitsu was the last major player in Japan still reporting on the figures. The other largest sales figure tracker, Media Create, stopped reporting on Wii U figures last year, so it's unlikely that we'll see much in the way of Wii U statistics going forward. As it stands, the Wii U has reportedly sold 3,303,541 units in Japan (for comparison's sake, the Switch has already sold over 5 million in the country despite only being on the market for 19 months). While sales will continue to trickle in over the following months, this will likely be the most accurate figure we'll have for a while until Nintendo releases official sales reports in the future. We'll miss you, Wii U. Man that is one sad figure for so many years on the market. An underrated and misunderstoon console. Still great for those who know the good points it has. Some day my WiiU is going to cost a lot of money! I have a Switch but I plugged in my Wii U this week to test the d-pad on my Wii U pro controller and gamepad with Tekken Tag. It's still a great console. Too bad for Wii U than ends like this. It reminds me Dreamcast. As much as I loved my Wii U, I'm so glad those days are behind us. While it's common to look back on a console with rose tinted glasses, remembering the good times that Splatoon and Mario Maker gave us, I still remember full well just how sad that console could be at times. Nintendolife was a barren wasteland for news, RCMADIAX and Skunk Software dominated. I kinda just want to buy one again to have in a cabinet at home. So many fond memories of this brilliant console. Sure, it was clunky and misinterpreted, but it was still a great thing to have. We will miss you. I usually give a sh#; about sales numbers, if I have to like something or not. 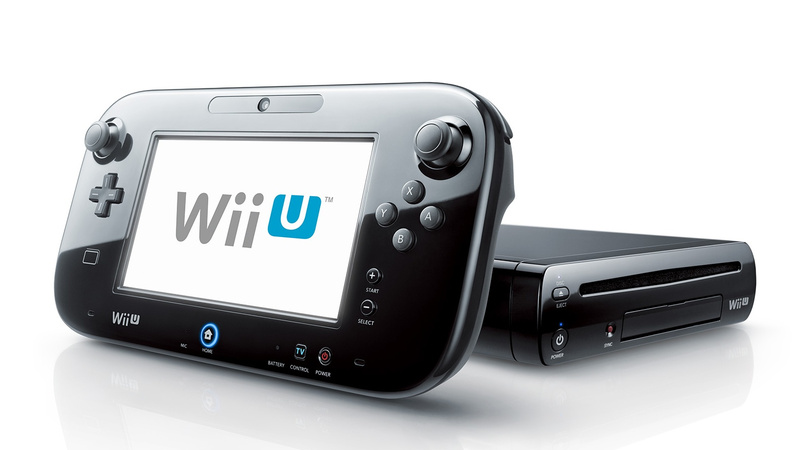 The Wii U is my second favourite Nintendo console of all time, after the GameCube. And I still play that sucker today. Used to buy even multiplatform titles on the U if the gamepad enhanced the gameplay like in Mass Effect 3. Nintendo failed the Wii U, not the fans. Whilst sad about how it turned out sales wise, the Wii U just wasn't one of Nintendo's better ideas. A product that really only appealed to the Dedicated Nintendo crowd which is only so big. It offered something unique that just lacked mass market appeal at the cost of too many other aspects. An interesting experiement that offered some amazing titles, yet doomed to remain niche within 1-2 years. The good thing is it provided Nintendo with some valuable learning experiences for the future. Now we are full swing into the beta test I wonder when the real thing is launching with all the normal console features and less of the experimental stuff?? Mine lives in a random box now. Definitely my least favourite Nintendo console I've owned. Had a few really fun multiplayer games (which have been made redundant now) but was severely lacking in good single player content. Loved my Wii U, absolutely loved it, but boy is it hard to fire up now after experiencing the speed and simplicity of playing on Switch. One of the most terrible consoles of all time and a nightmare for Nintendo. Wii U was the only Nintendo console that never tempt me to buy it. It was the end of Nintendo’s disastrous “gimmick age”. Splatoon, Mario kart 8, DKCTF, Metroid Prime Trilogy, Super Metroid, DKC trilogy, NSMBU, SM3DW, Super Mario World, Golden Eye 007 Wii, ZELDA games... off TV play... so much awesomeness... so under rated. Still loving it. Most of the best games on the switch are ports from the Wii U or are new versions of great Wii u games i.e Splatoon 2. The Switch looks awesome but have not purchased yet because still getting so much joy from the Wii U. (Admittedly I only picked up my Wii U 6 months ago for a song). My last system before the Wii U was 10 years ago - the GC. That’s my story! Thanks for reading. Admittedly i only bought one last year, and I've had lots of fun with it already. I only have 4 Wii U games (Super Mario 3D World, Mario Kart 8, Wind Waker HD, and Tropical Freeze), but i would love to get more. I will get more, as there's so many i want to play. I agree with @Lord, Nintendo Failed the Wii U not the fans. Maybe if they'd picked a better product name to distinguish the fact it's a much more powerful console than the Wii, They may have seen more sales. I remember when i bought it, i was talking about it to a friend, and they too had thought it was the same thing as the Wii. i explained to them no and yes: It is a new console, with backwards compatibility with the Wii. I won't be forgetting the Wii U.
Shame as it was a console with great potential and a few tweaks to it's hardware and a name change wouldn't have hurt it's chances. Super Mario 3D World, Bayonetta 2, Pikmin 3, The Wonderful 101, Tropical Freeze, Mario Kart 8, Splatoon, NintendoLand, WindWaker HD, Captain Toad, Smash Bros 4, Pokken... Wii U spawned some truly fantastic games! It's such a shame they weren't able to keep it alive. In years to come articles will be written about how good the Wii U was. That I'm convinced of. Great console. I enjoyed it, much like I do all Nintendo consoles. I still use mine today for internet, Netflix, Crunchyroll, YouTube, Wii Fit U (still my main motivator for exercise), and to a lesser degree my downloaded games until I feel the need. Off TV play still gets used and still comes in handy. Good times that much of the pre-Switch world missed the benefits of for its time. Thanks for the memories. Beyond some killer 1st party games and yes I realize a lot of them have been ported to the Switch, it has some great things the Switch doesn't. For one, full backwards compatibility with the Wii, giving you access to that huge library of games. Until recently, you could also access the Wii Virtual Console and WiiWare and any games you have purchased for them are yours to keep and continue playing. Of course it also has its own eShop full of some great indie games and Virtual Console games. Hell, it even has Netflix, YouTube and Amazon while the Switch still does not(why the heck is Hulu on there, but none of the othersd?). I will never get rid of my Wii U and I hope it keeps working for years to come. I was fortunate enough to (a few months ago) track down two Xenoblade bundles, albeit at full price. I was also lucky enough to serendipitiously find a Super Mario Maker bundle for only AU$99. I would have bought a couple (at least) of the Skylanders bundles back in the day if I had the income at the time. Those were ridiculously cheap. My favorite Nintendo's console with the SNES. An awesome system that can play basically the entire Nintendo world in the same echosystem. JUST FANTASTIC. NES, SNES, N64, GBA, DS, Wii and the great Wii U exclusives + the special editions of multiplats with a use of the gamepad + Netflix + Internet browser + free online... arghhhhh what a fabulous system ! The spirit of Satoru Iwata is on every chip of the Wii U... and I won't forget it until the end. Great Console once it’s hacked. Without that, not so much. While I do love the Switch, and think it's an overall better console, there are features on the WiiU that I wish the Switch had. Internet browser, Netflix and Amazon Prime, and a legit Virtual Console. I hope history looks back fondly on the WiiU. It was put in such an odd position as a console, but in the end, it had a lot of great games. For awhile I was unaware WiiU was a new console and not just a tablet controller. Back then I'd stopped reading IGN and other gaming news due to my work/home schedule. My friend decided for my birthday to get me the Wind Waker Wii U console around the time I realized it was Nintendo's next gaming rig. I avoided Wind Waker for awhile since I'd grown frustrated with the Forbidden Fortress stealth level and never returned to it on Gamecube. We went to Gamestop and bought New Super Mario Bros U, Super Luigi U, Super Mario 3D World and Nintendoland for very cheap prices. I enjoyed playing all the games, but only managed one playthrough of each. Wind Waker HD however blew me away with how pretty it was. It sounded great and was actually much more fun than I remembered it being as a teenager on gamecube. I've replayed the game and I'm sure I'll give it another playthrough in 2019. I also bought Smash Bros and Hyrule Warriors and had a blast playing both with my friend. So much that I rebought Hyrule Warriors for Switch and got to experience all the content I missed on the 3DS release. My final Wii U game was Twilight Princess HD and that game is more playable without the derezzed fog 20 feet away like my gameube version. Good game, but Wind Waker is just plain more fun. I also bought a number of SNES games on the Wii U VC because I figured it was the only legal way to reacquire them on a modern device. My 3DSXl was loaded up with 18 NES games and I almost didn't double dip...cept LoZ and Zelda II. The Wii U got me used to playing Nintendo games with a big pad which was convenient when I was up early in the morning or my wife wanted to watch shows that didn't engage me. I'm ready to move onto Switch. Reggie is right though, without being taught a brutal financial lesson with the Wii U, the Switch wouldn't be as successful as it is and will continue to be. Goodbye, sweet Wii U. You've been transformed into a XCX machine! @MaSSiVeRiCaN Not too terrible, actually. Japan is a pretty small market and it's a market that has been shifting towards portables for several generations now. The install base of the Wii U in Japan was 60% of the size of the Nintendo 64's install base, 82% of the size of the GameCube's, and 26% of the size of the Wii's install base. Last place for sure where Nintendo console sales in Japan are concerned, and undoubtedly a commercial failure. But not quite as dismal performing in the sales department as that number first appears to us in the larger marketplace in the west. The wii u brought me some of the best gaming experiences of my life. Deus ex, Darksiders and Zombi U are just a few. Black ops 2 was superior on Wii U as well. The gamepad was always good as a map or inventory. If only there was a way to use the switch as a second screen. Pikmin 3 was one of my favorite games, and my wife absolutely loved Xenoblade X. So long Wii U, thanks for the memories. So many memories... Thank U! I got some play out of mine, but it was definitely my most underplayed nintendo system, and I had the least amount of games for it compared to any other nintendo console, just because while there was a lot of good gems there they were fewer. It's a shame the Wii U didn't sell better. It's actually a really good console. I think part of the problem was marketing. There were a lot of average consumers who ignored it because they thought it was just a variation of the Wii. A different name, or more aggressive marketing campaign could have helped it stand out. Despite my issues with it, it's still one of the better Nintendo consoles I've owned and it had an interesting and innovative central concept. I'll continue to use mine for years to come. I still hold that the Wii U was a good idea that was poorly executed. I've explained what I think it should have done differently more than once on this site, but the tl;dr is, the gamepad needed to have a better battery, the resolution needed to be higher, and the range from console to gamepad needed to be larger. The console itself needed to be somewhat more powerful too, not a lot, but somewhat. And of course the console needed better marketing. But if it had all that, I fully imagine it could have worked. I don't regret owning one, and have no intention of selling it. It was such a nice console overall, and it really had one of the better libraries for a console from Nintendo. It rarely dipped into "family casual party game" type fare like the Wii and DS, and felt oddly "complete" compared to GCN and N64. It was the best Nintendo console since the SNES, really. Shame it went the way it did, but, of course, Switch does mostly everything right in its place. The whole game size vs storage space & battery remain it's only real weaknesses. R.I.P Wii U. Nintendo didn't give you the life that you deserved. Down, but not out. I have a feeling we'll see a turnaround on this baby. I still play my Wii U frequently and still plan to boot it up on occasion when I get a Switch. As I don't currently have a Wii, it's the only way I can play my old Wii games. I'm starting to run out of retail games that I want for it, but the Virtual Console alone will keep me busy for quite some time. I picked the Wii U era to jump back into Nintendo but having missed the Wii era entirely, it had much to offer me. I don't know how many hours I clocked with Nintendoland, Mario Maker, MK8, and Xenoblade Chronicles X. Loved my Wii U and its not going anywhere. My wife uses it for Just Dance and it will go into my kids' play room soon since they are getting older so they can learn to play games. Wii U was a fantastic system. it missed it's opportunity to have a Main Animal Crossing game for Wii U (and, no Wild World doesn't count, because that was on the DS) it was neat that the system had GBA, DS and Wii. and all of the apps it could offer. great games as well. if you can forget that Amiibo Festival, Devil's Third and Ultra Smash were a thing. you have a pretty good system! @Nintendo_Alski I had mine set up the same way back in the day! Alas, times are a-changing. I really did adore my Wii U, it had a fantastic first party line-up, Virtual Console and full backwards compatibility with the Wii, and neat functionality. While it didn't sell well, the Wii U was a perfect example of why Nintendo consoles are the only ones I'll buy anymore. Sure I played my PC more even when I had my Wii U/3DS, but that's just because there were huge gaps between first party games on the Wii U and I played a lot of Civilization and other online games with friends on PC. I didn't really buy a lot of indies on the Wii U because it didn't have the benefit of being a handheld like the Switch, so I stuck to PC for those too. Still, Nintendo did its own thing with the Wii U and wasn't settling for just making a bootleg PC like Sony/Microsoft did with their consoles. Now that the Switch is out, I really feel like this is what the Wii U should have been all along. Sure it has most of the Wii U's best games ported to it, but exclusive first party games are coming out more frequently than they did on Wii U and we're still early on in the Switch's life. I think by the end we'll see twice as many good exclusive Switch games as Wii U ones. That being said, the Wii U has Virtual Console over the Switch and that's such a huge deal. Best console ever made which allowed me to enjoy the current Switch games but 3 years ago. I enjoyed my Wii U a lot, I picked it up in its last couple of years fully aware it was a flop, but I liked the look of the games on it so I took a plunge and had a brilliant time and definitely got my money's worth. It was the first console I'd owned since the Gamecube as I didn't like the direction games were heading in. It now resides with my nephew while he's at university in Belfast, he's thoroughly enjoying it too, him and his brother had savage competition in time attack on Mario Kart 8 - I was surprised how much they played it completely off screen so their mum could carry on watching TV. @WiltonRoots I'd say XBox One is fighting with it....and losing. It takes talent to race against a dead horse and still lose handily. Yeah, 7th gen consoles in general were kind of odd. I came from PC after along console hiatus after SNES and VirtualBoy. I got tired of all the problems of PC hardware failing all the time, and the costs, and time consumption (this was back when physical games for PC actually existed but Steam was just starting to take over and it was killing the experience.) But console didn't quite do what I'd wanted from PC, and the Wii was just....I liked some experience I had with it, certainly, but overall, was such a disappointment. Not that it didn't have a year or two of great memories. WiiU was a breath of fresh air! But ultimately it was 3DS that stole the show, far and away, that whole gen.
A proud Wii U owner here. @NEStalgia I think for me it was the rise in the 7th gen of all these first person shooters and games trying to take themselves too seriously, the rise of grey and brown, rubble and space marines. I just can't relate to things that try and be too real or serious, especially as I see games as a means of escaping reality for a short while. I preferred the Sega and Nintendo days. That ruled out PS3 and Xbox for me (I still see them as a pair of boring suits who gatecrashed a rave), and as much as I liked the look of Mario Galaxy and Twilight Princess, it wasn't enough to make me fork out for a Wii. It was just a big long "naaaaahhhh..."
Add to that I had so many other things going on in my life, I was more into music, partying, work and painting to have time for things like games. In fact if it wasn't for me getting an Xmas bonus at work I don't think I would have bothered getting a console at all. But I'm glad I did. So if anything I hope it helps you understand my general apathy and disbelief towards all these dramas that keep happening in the gaming world. @WiltonRoots True.....that must have been jarring for console-only gamers coming from SNES to PS1, N64, GCN/PS2 and then.....the brown PS3/XBO. Coming from PC gave a different perspective, we'd been living that world for a good decade prior. PC was doing the brown & gray shooters since the SNES was still in production, and it had long been the dominant genre there since at least the late PS1 era. So when it moved to consoles it felt like the natural progression. It was MS with the XBox that intentionally moved the PC market to consoles (to prevent DirectX from no longer being the primary 3D API due to the rise of PS and it's OpenGL base.) Yes, brown shooters were dragged to consoles by the creation of XBox which was specifically created to cement Windows dominance.....not even joking. I think it was a case of he rise of the power of PCs able to render 3D scenes, and just imitating hollywood movies since "shooting galleries" were an arcade staple, it was a natural fit. But it is weird in retrospect taht military shooters became so dominant on PC. Largely everyone was just copying id in the beginning I think. (Plus they were the ones making the best looking engine...which was built around their game...which was a shooter, so you buy an engine, it's built to be a shooter.....that probably played a role.) Maybe the tech forced the genre. One of Nintendo's lazier efforts. This console was so disappointing. Even after I sold off my shovelware, my Wii library is still over twice the size of the selection I had any interest in on the Wii U. Unlike the Wii the Wii U was much less about motion controls. Some games you could turn on or off such as Splatoon and MK8 and COD BLOPSII. Wii U allowed me back into the world of Nintendo because despite a lot of effort to learn to like Motion/Gyro controls... the fact is I cannot stand them! It's a poor man's Switch. @Atariboy ah nice stats for comparison, appreciate the clarity of the bigger picture. Hmm, might have to look into PS4 console sale number just out of curiosity as well. Thx again. I thought the Wii U was innovative and I play it all the time. To me, it was a great accomplishment. The games are great, and the virtual console store is awesome. I still buy games from time to time. To me, the switch is just a downsized portable version of the Wii u. Nothing more, nothing less. My 10 and 8 year olds dominate the tv. So the Wii u game pad was a big plus for me. I'll defend it till the day I die! I need to call the Ambulance to revive the Wii U! Here it comes! WiiUWiiUWiiUWiiUWiiUWiiU! I love Wii U. It’s a bit sad to see the console die like this, but at the same time I understand why Nintendo doesn’t want to waste money by continuing to support it. I’m glad I got one at launch day, so I got to enjoy it while it was alive. Wii U is the only way to play the original Earthbound Beginnings in english without piracy or 3rd party hack. C'mon Nintendo Online Service. So in a few years time we'll be able to look back and say the Wii U, failure of a console that it was, completely shat on the Xbox brand by a great margin in Japan?